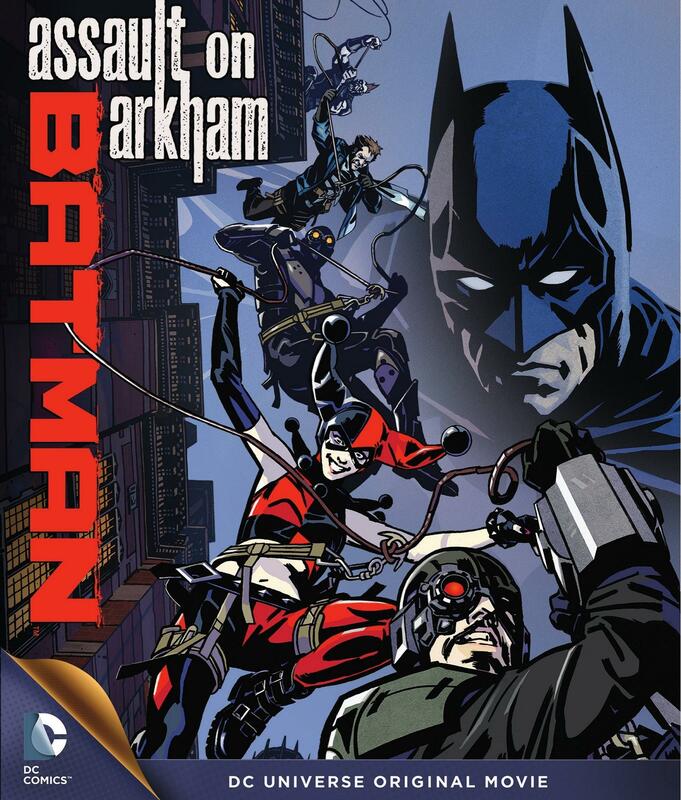 Batman, one of the world's most valiant super heroes, faces a villainous squad of criminals in an epic battle of good vs. evil in the DC Universe Original Movie, Batman: Assault on Arkham. Set in the world of the best-selling Batman: Arkham video game series, this action-packed film takes place between the Batman: Arkham Origins and Batman: Arkham Asylum video games. Available from Warner Bros. Home Entertainment, on Blu-Ray™ Combo Pack, DVD and Digital HD, this hit is one DC Comics fans won’t want to miss. Gotham is in great danger when the government assembles a group of villains — code named the Suicide Squad — and forces them to break into Arkham Asylum to retrieve top secret information stolen by the Riddler. Things take a turn for the worse when one of the Squad members (Harley Quinn) frees the Joker, who is intent on blowing up Arkham Asylum and Gotham City. Batman must use his super hero wits and strength to thwart the wicked plans of the Joker and the Suicide Squad. Kevin Conroy (Batman: The Animated Series) voices Batman, and joins forces with several Hollywood greats to bring the legendary characters to life. Adding to the celebrity-laden cast is Neal McDonough (Justified, Desperate Housewives) as Deadshot, Troy Baker (The Last of Us) as Joker, Matthew Gray Gubler (Criminal Minds) as Riddler, CCH Pounder (The Shield, Warehouse 13) as Amanda Waller, Greg Ellis (24) as Captain Boomerang, and Giancarlo Esposito (Breaking Bad, Revolution) as Black Spider. Produced by Warner Bros. Animation and DC Entertainment, Batman: Assault on Arkham is directed by Jay Oliva (Man of Steel, Justice League: War) and Ethan Spaulding (Son of Batman) from a script written by Heath Corson (Justice League: War). Sam Register (Beware the Batman, Teen Titans Go! ), Benjamin Melniker (The Dark Knight Rises) and Michael Uslan (The Dark Knight Rises) serve as executive producers. James Tucker (Son of Batman) is Supervising Producer. 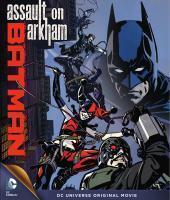 Batman: Assault on Arkham and related characters and indicia are property of DC Comics and WB, 2001 - 2014. The World's Finest and everything relating to this site - copyright, 1998 - 2014.